A man previously convicted of murdering two soldiers has been acquitted at a retrial after a judge cited a series of crucial forensic errors in the prosecution case. 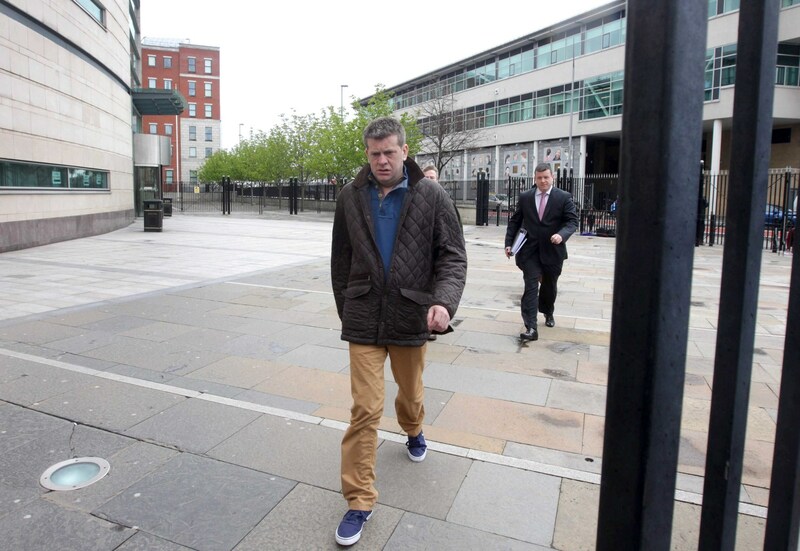 Brian Shivers (47) was originally convicted in January 2012 of the murder of sappers Patrick Azimkar (21) and Mark Quinsey (23), who were shot dead during a Real IRA gun attack on Massereene army barracks in Co Antrim in March 2009. In January 2013 he was acquitted of the murders but was ordered to face a retrial. However the DNA evidence which the prosecution had relied on to secure a murder conviction against Shivers at the original trial two years ago was brought into serious question at his retrial in March this year. Shivers admitted that the DNA on the matches and mobile phone found in the killers’ getaway car were his, but said it must have been through an innocent explanation. “He may have done so (touched the items). But even if he did so it does not necessarily mean that he was assisting the person who carried out this murder. “It could have been a quite innocent touching. And of course the transfer may have been secondary and not direct; shaking hands with someone who then handled the phone. Mr Justice Deeny said that the presence of DNA on the items from up to five other individuals added a “further difficulty” for the prosecution case. However the trial judge also highlighted a series of crucial errors in the recovery of forensic evidence at the scene. As originally reported by the Detail, during the retrial scenes of crimes officer Rosemary Johnston admitted that she had pushed the back seat of the getaway car down on to the two matches while searching the vehicle at the scene. Ms Johnson said she had not been aware that DNA could be retrieved from matches. The court also heard that another scenes of crimes officer, Mark Robinson, had placed the two matches into the same evidence bag, potentially contaminating vital forensic evidence. Trial judge Mr Justice Deeny said it was “somewhat surprising in the circumstances” that the matches had not been removed from the car until four days after the attack. He said it was “clear” that they should have been put into different packages as DNA could have been on one match and then transferred to the other. The DNA from another scenes of crimes officer was found on the keys of the getaway car. The judge said that the evidence had only come to light “at a very late stage in the trial” after tests had been requested by Shivers’ defence team. Mr Justice Deeney said this showed that the investigator’s claim that he had not touched the key was either untrue or showed how easily DNA could be transferred by an experienced crime scene investigator wearing gloves. The prosecution case was further damaged when it emerged that the DNA of the police recovery driver, Robert Greer, who removed the getaway car from the scene was later found inside the vehicle, despite his claims that he had never entered it. Read the Detail’s court report here. Mr Justice Deeny rejected the driver’s claim that he had not entered the car and said “it did not inspire confidence in the Crown case that this mistake was made and that it was then explained in a way which I find to be wholly suspicious”. The judge, who described the murders as ferocious and ruthless, referred to Mr Shivers’ significant medical disability and his previous good character and said those factors suggested he would be an unlikely associate for “this determined gang” to rely on. Mr Justice Deeny said that he had asked himself if he was satisfied beyond reasonable that the prosecution had proved Shivers’ guilt and the answer was “clearly no” and as a consequence the 47 year-old was not guilty on two counts of murder, six charges of attempted murder, and other charges relating to the attack including assisting offenders.